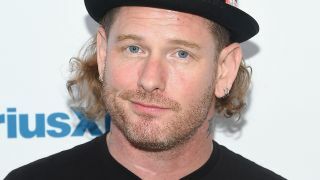 Corey Taylor has announced that he’s engaged to his girlfriend Alicia Dove. And when a Twitter fan asked Dove how Taylor proposed, she replied: “After breakfast at home. As I put the salsa back in the fridge I shut the door and he was standing there with a ring. Got down on one knee, and I immediately started crying on the floor with him. Dove is the founding member of dance troupe Cherry Bombs, who joined Taylor at the Fremont Country Club in Las Vegas in January for his acoustic take on Slipknot’s 2008 track Snuff. Slipknot will release their highly anticipated sixth studio album on August 9 and head out on tour throughout the summer. They’ll be without Chris Fehn, though, after he parted ways with the Iowa heavyweights last month.